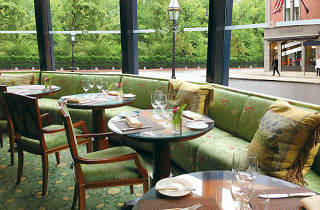 Terrific Indian food in a onetime Ritz Carlton? Incongruous but true. 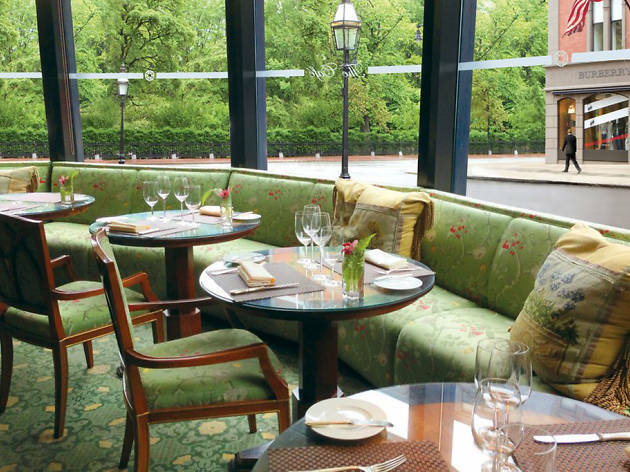 The Cafe at Taj Boston—housed in a dining room that once served both Winston Churchill and Benny Goodman—dishes up both iconic New England dishes and reimagined Indian classics. At both lunch and dinner you'll find elegant takes on palak paneer, chicken tikka masala and biryani; even the breakfast menu includes aloo paratha and mango lassi. The seasonal rooftop brunch buffet, available during the warm-weather months, breaks up its raw bar offerings with a few Indian tapas.